Re: What did i do wrong? PLEASE HELP! Click on the picture below to see the rules in the lower left corner. 1000kc is darn nice though. Congrats on that!! 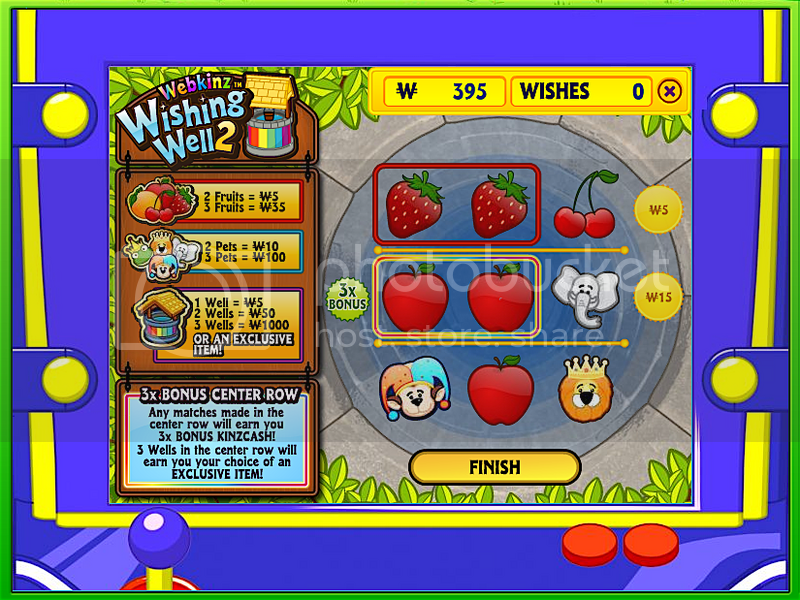 This is the 116th day of Wishing Well Two. My best is still only 395kc. oh! thank you everyone! i got it on the bottom row. As everyone else has said it has to be in the middle row to get an exclusive, but 1,000 is still A LOT!!!!!!! PS i once got three wells in the middle AND i picked the Blue Lava Lamp. Has to be 3 in a row in center . Though big congrats on getting 3 in a row! I still have yet to get it! !